I’ve been thinking I’d love a new project. I need a push to take photos more regularly with a purpose, and get creative with shots. 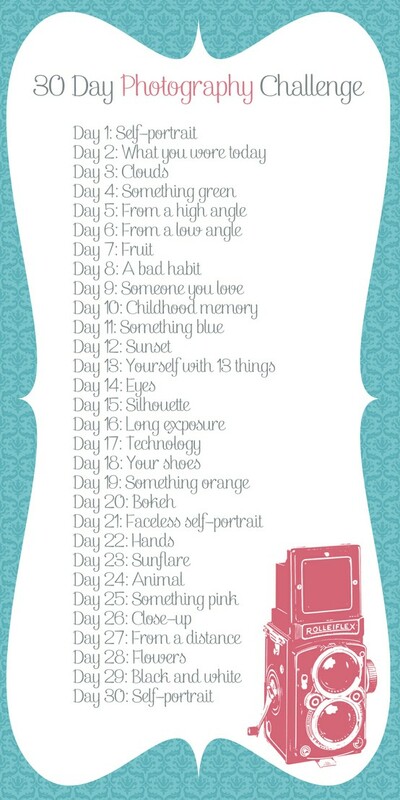 So when I saw this 30 Day Photography Challenge I thought it would be a fun idea to try something like this… It’s being hosted over at Our Wired Lives where you will find a whole list of other bloggers doing the same challenge! This entry was posted in Photo-a-DAY-Challenge and tagged Photography Challenge October 2011 on September 30, 2011 by Sarah on the Road. 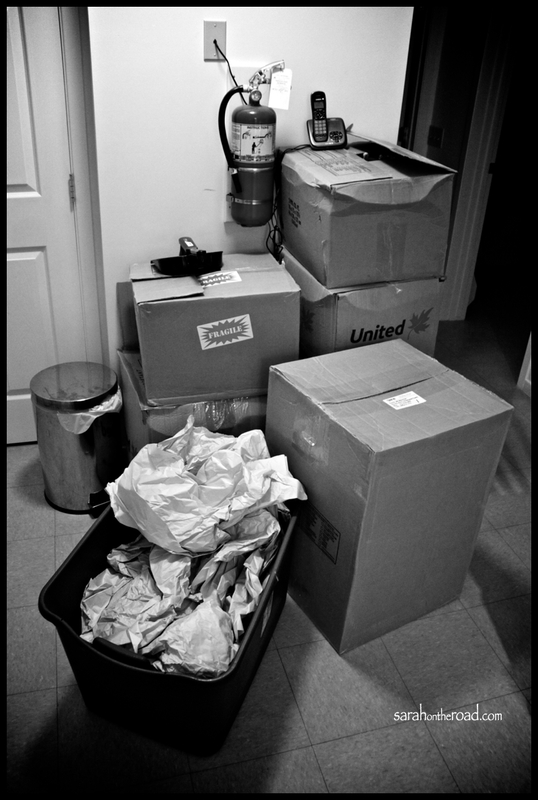 Wordless Wednesday IX: The Last Boxes to Unpack! Yup, on Sunday I moved into a 2-Bedroom House..and in the process of making it HOME! 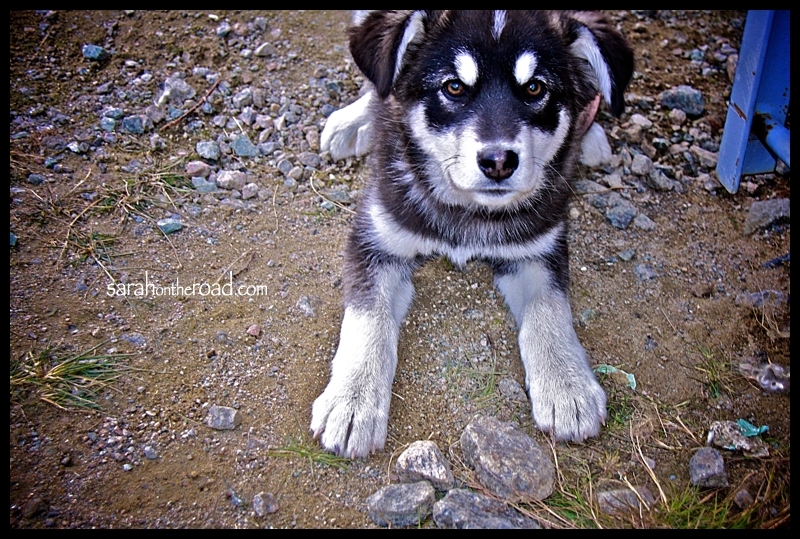 This entry was posted in Wordless Wednesday on September 28, 2011 by Sarah on the Road. 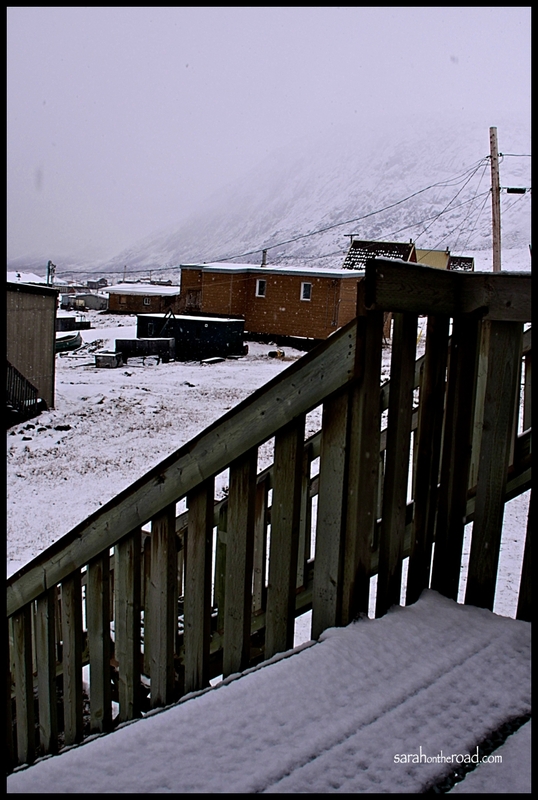 First day of Fall- Arctic Style! …snow, snow and more snow! A few photos because my friend Sarah H. commented on Facebook that she wouldn’t believe it was snowing until I posted the proof. Because I still wasn’t feeling well I stuck close to my house, and snapped these photos… Normally you see the Pang Pass in this direction, today it was a wall of white–snow! You can barely make out Mt. Duval in this photo… I know the morning flights were cancelled…but think I heard a plane tonight (dont’ know if it landed though!) I’m not sure if this snow will be here to stay… or if it will be gone… a quick look at the weather forecast says it looks like it will be 5C tomorrow, so probably will be gone! Morena and her boys went out to build some snowmen earlier today before it got REALLY wet out… looks like they had a lot of fun…you can see her photos HERE! 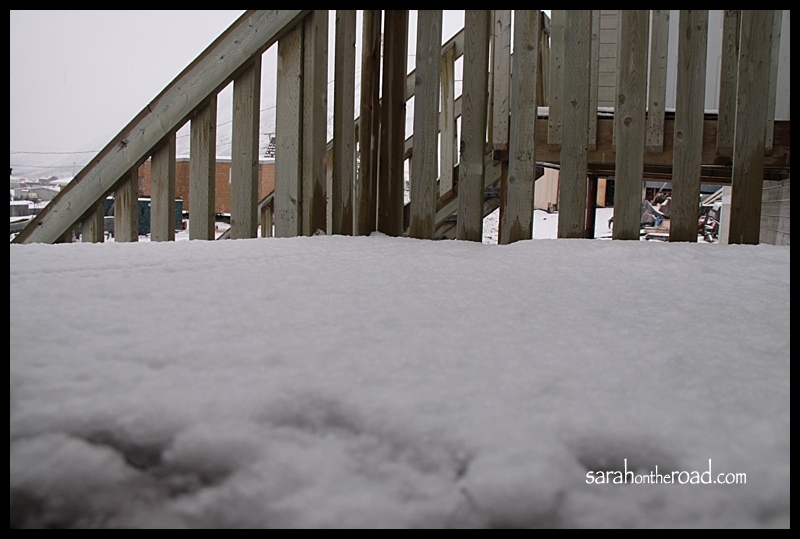 This entry was posted in Weather Woes and tagged snow on September 23, 2011 by Sarah on the Road. Anyone who knows me knows I love dolls… I still have my six (yes, six) cabbage patch dolls(honestly one is my younger bro’s but he let me keep it-but don’t worry I think when he has a baby someday it will return to his house! )…I still have my Barbies, which were the “Heart Family” (and my mum’s Barbies)…and a few other ‘special’ dolls from when I grew up. These have become a joke with my brothers–that if/when I have kids… my kids will just get to play with my rejected cherished toys! (they are still at my mum’s house..but have spent a few years in a cousin’s basement but went back to my mum’s during the summer of ’10). Let’s just say watching Toy Story 3 made me think about my box of toys that I boxed up… and have left behind! Yup, I might also be a candidate for a ‘hoarding’ show.. or my secret collections… but let’s not go there! 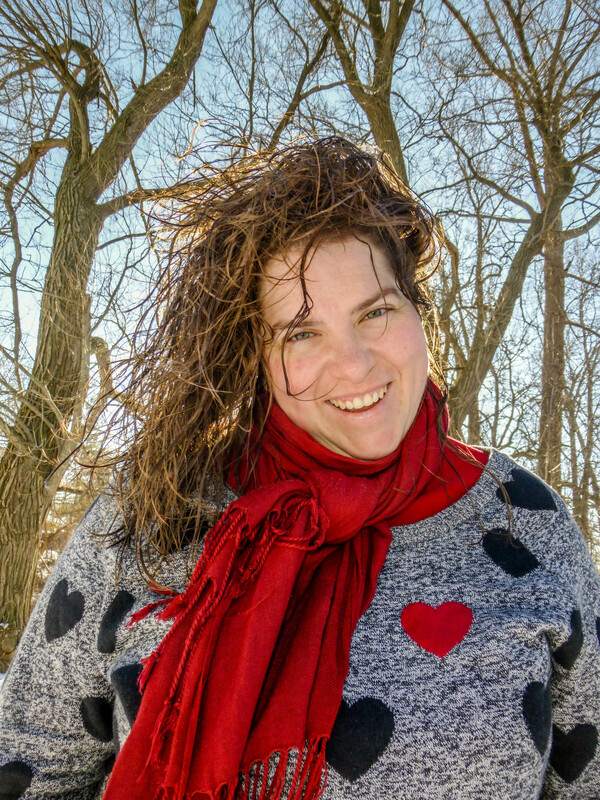 …isn’t she pretty AMAZING? 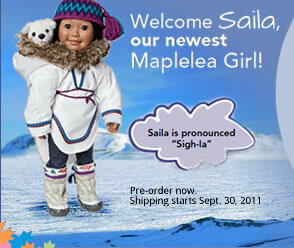 You can read more about Salia HERE. Oh and look at this… she can also come with an Amauti and don’t forget her Pang hat! Oh and you can get a husky and a pup for her too! The little girl in me really wants this. Heck who am I kidding? the WOMAN in me wants this… Perhaps I’ll have to write a letter to Santa? I’ve been a good girl… Mum? Gramma? what do you think?? 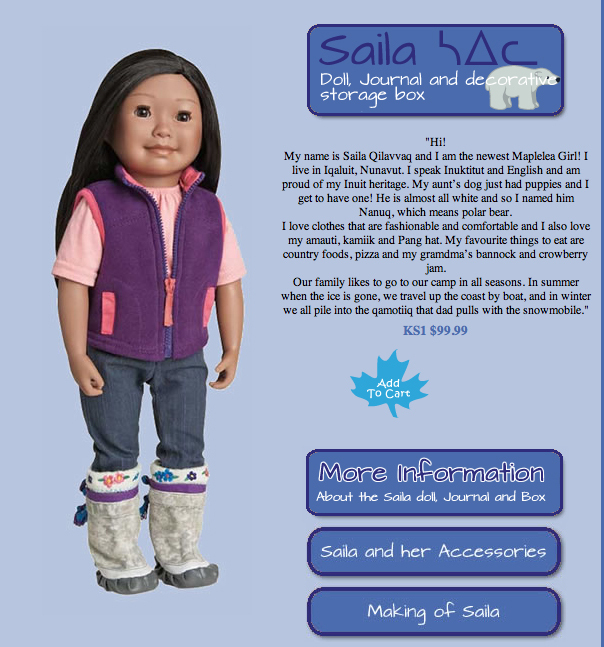 I think the thing that makes me appreciate this so much is that it looks pretty well done, not gimmicky… I’ve heard the quality in the other dolls is really good and the fact that some of the ‘accessories’ the parka and the hat are both made in Nunavut. The hat is made here in Pang… just like mine! My gramma also loves dolls…still has a ‘baby carriage’ full of them at her house…so if my gramma can have that at her age… that SOOOO means I can have one right? I love the logic in that! I could always say at some point I would ‘share’ my doll if I had a daughter*…but in all reality I’d probably end up keeping mine for myself, and end up getting her get her own doll! The other new thing with me is that I’m going to be moving at some point in the next 2 weeks…my housing situation was only “temporary” until a 2Bedroom unit became available…I applied for a ‘swap’ and it was approved..so now I just need to get some boxes and re-pack, and get my things to the new house! Not 100% sure of the details yet… WhenI’m settled I’m sure I’ll finally give you a proper post about my new home–because this one I haven’t really unpacked or made it ‘homey’..because I knew it was ‘temporary’! *FYI: there is no daughter in the works here for me… just at some point in the future…like maybe 5-10years? 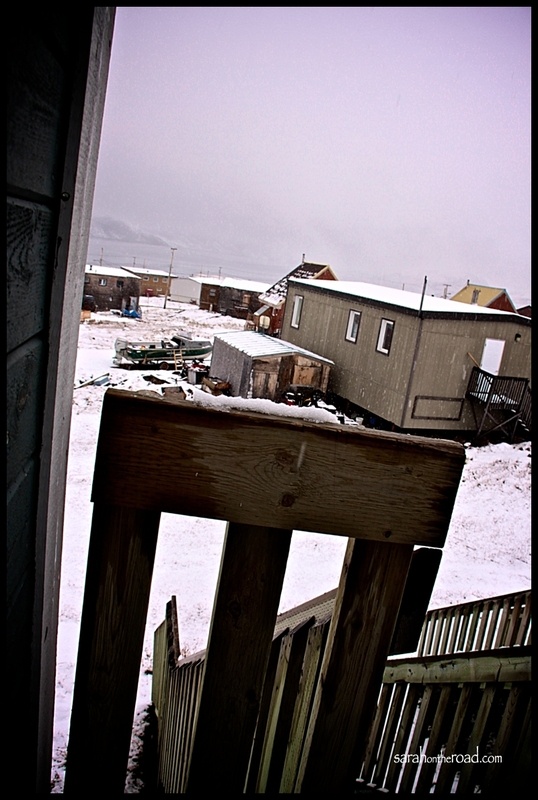 This entry was posted in Life in Nunavut on September 22, 2011 by Sarah on the Road. 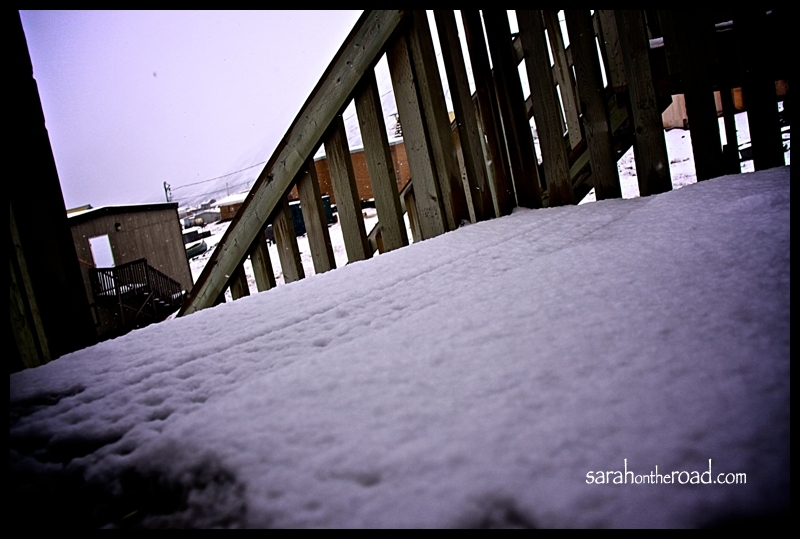 This entry was posted in Wordless Wednesday on September 21, 2011 by Sarah on the Road.